Geneva, Switzerland – February 15, 2018 – International Childhood Cancer Day (ICCD) is celebrated around the world each year on February 15th. Originally commemorated in 2002, ICCD is a day founded by Childhood Cancer International (CCI), a global network of 188-member organizations in 96 countries. Childhood Cancer International is committed to advancing cures, transforming care, and instilling hope for all children and adolescents diagnosed with cancer in the world, wherever they may live. 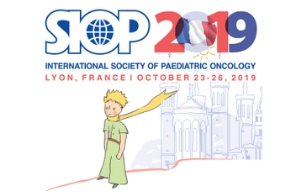 Established in 1969, the International Society of Paediatric Oncology (SIOP), with over 1500 healthcare professional members, is the lead organization concerned with the issues of treating children and young people who have cancer. 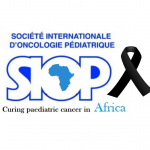 SIOP is committed to improve childhood cancer care globally through education, supporting and improving clinical and basic research and advocating for childhood cancer on a global level. Both societies share a long and fruitful synergistic cooperation. 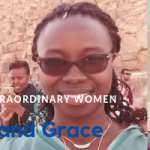 Childhood Cancer International and SIOP are not alone in recognizing the devastating impact of childhood cancer on children and families around the globe. In September 2011, the United Nations (UN) General Assembly issued a Political Declaration recognizing four major Non-Communicable Diseases/NCDs (cancer, cardiovascular disease, diabetes and chronic respiratory disease) as the greatest killers of adults and children. Sadly, childhood cancer continues to be the leading cause of non-communicable related death in children throughout the world. Globally, more than 300,000 children are diagnosed with cancer each year. Approximately 80 percent of our world’s children with cancer live in low-middle-income countries (LMICs) where more than 80 percent of these children die of their disease. In developed countries like the United States, Canada, United Kingdom, Japan and others, more than 80 percent of children survive cancer with hope to live productive and meaningful lives. On December 13, 2017 a new report from WHO and the World bank revealed that approximately half of the world’s population, including children, do not have access to essential health services and that 800 million people spend at minimum 10 percent of their household income on health-related care. Childhood cancers are often curable but too many children and adolescents have no hope to overcome their disease simply because they were born in a country entrenched in poverty resulting in late diagnosis, lack of access to life-saving essential medicines and appropriate treatment. As childhood cancer organizations, we know only too well that the associated cost to treat a child with cancer can be a burden that too many families simply can’t overcome. We support the need for universal access to essential medicines and healthcare for all children in the world diagnosed with cancer. 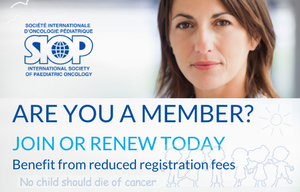 In order for this to happen, CCI and SIOP agree that making childhood cancer a national and global child health priority is a critical first step towards increasing access to treatment and reducing childhood cancer mortality. All children in the world deserve hope for a cure – no matter where they live – not more excuses. We can no longer sweep this issue “under the rug.” Children are the future of our country and our world. Their vitality is the heartbeat of our world, a shared passion that can unite us because our future as a global community depends on it. There can be no more ‘but.’ United together towards a shared vision we can advance cures, transform care, and instil hope. Together we must take action to reduce child cancer mortality.